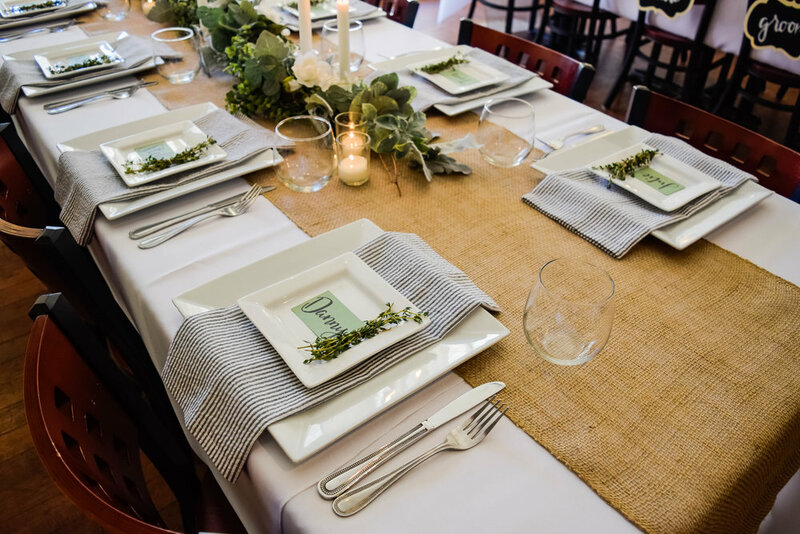 No matter the occasion, we offer a variety of options to help you host your event, from rehearsal dinners to boxed lunches. Our dining room is a great location for private events such as rehearsal dinners, office parties, and birthdays. We are happy to help design an event that is catered to your needs. Seating is limited to 40 in our dining room but full venue rental for parties larger than 40 is available. Our Catered Lunch and Dinner Menus offer family-style catering for off-premise events. Each menu is designed and prepared to offer variety to a large group. All food is delivered in recyclable containers and we are happy to provide recyclable plates, utensils, and napkins.